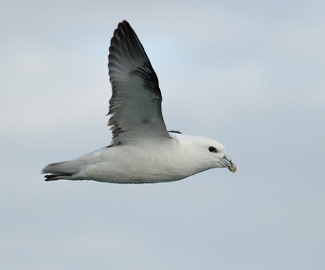 South of the R.I. coastline, your will find a variety of seabirds. 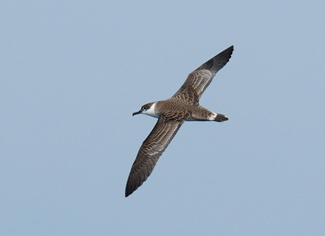 In the summer months it is common to see the Greater Shearwater, Cory's Shearwater, WIlson's Storm-Petrel, Pomarine Jaeger, Parasitic Jaeger, and the Northern Fulmar. 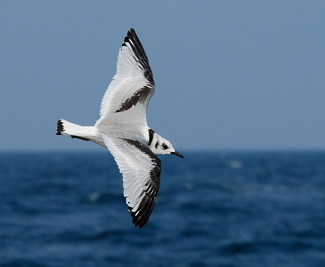 Other summer birds not seen as frequently are the South Polar Skua, Leach's Storm-Petrel, Long tailed Jaeger, Sabine's Gull, and the Arctic Tern. When cooler weather prevails in the fall, we commonly see the Black-legged Kittiwake, Common Eider, Razorbill, Northern Gannet, Common Murre, and the Thick-billed Murre. 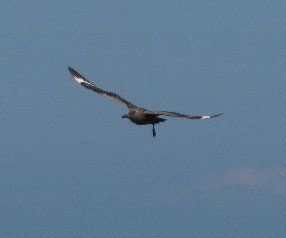 Seen less frequently are the Great Skua, Atlantic Puffin, and the Common Loon. 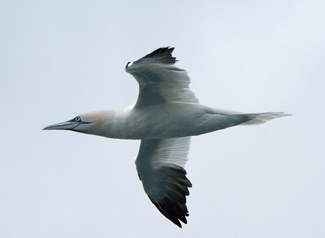 This is our tenth year to offer bird watching cruises. During this period we have learned how to identify many species, observe different flight patterns, and study migration routes. We are hopeful that more of you will join us on these fascinating excursions off the southern R.I. coastline. It is our goal to continue to learn and pass along all acquired knowledge and experience to our guests.